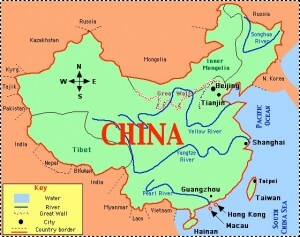 The Qing dynasty ruled China from 1644 to 1912. They were Manchurians who invaded the country and allied with a Chinese general to take over the empire after the last Ming emperor died. The Manchus tried to keep control of China in the hands of Manchu Banner chiefs, and they succeeded for a few centuries, but gradually adopted more and more Chinese customs and language. Right from the start of their reign the Manchus faced the challenge of ruling a country with a large population and long borders. They had to fend off an attack from Russia. The 1800s were a tough century for the Qing dynasty. In 1842 China lost the First Opium War and Hong Kong came under British rule. The Taiping Rebellion which lasted from 1851 to 1864 one of the costliest and deadliest civil wars in history. Additional rebellions erupted within China. On the borders, the Russians were north, the French to the south, the British in India and Hong Kong. The Germans and Japanese also had interests in China. Then there were droughts, floods, and famines. The Qing government did not have systems in place to distribute food to needy areas. The canal system, a glory of Chinese engineering, was plugging up with silt. 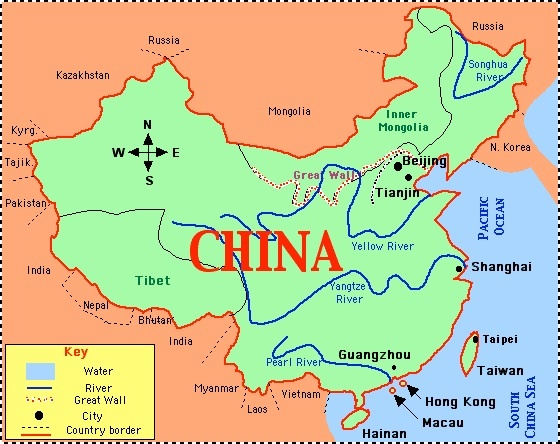 This entry was posted in Chinese History and tagged Chinese history, geography by admin. Bookmark the permalink.